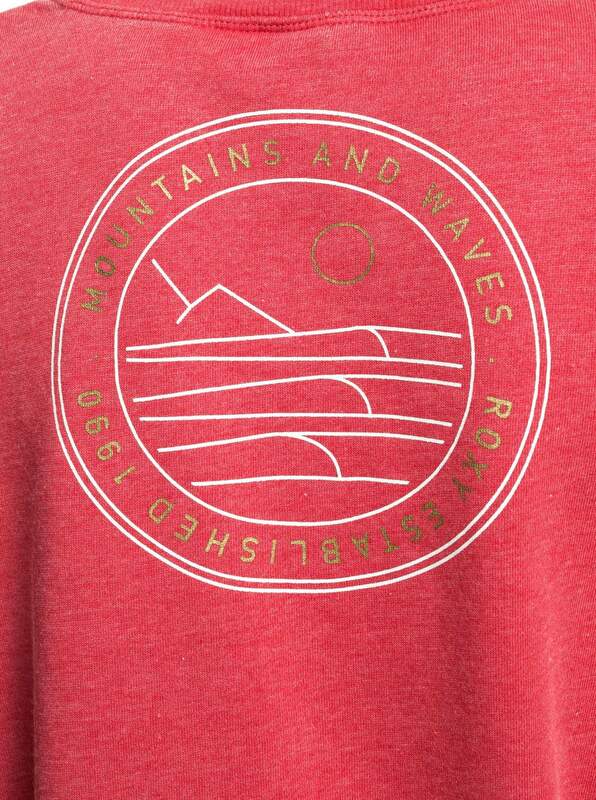 Whether you're headed to the mountains, the waves or both, this women's Roxy All At Sea A sweatshirt is a perfect choice for wearing through it all. Designed with a blend of cotton and polyester, this long-sleeved Roxy sweatshirt is a comfy, versatile option for pairing with anything. The bright berry color, palm tree details on the chest and ocean logo on the back give it a summery feel, making it great for wearing on hikes along the beach.